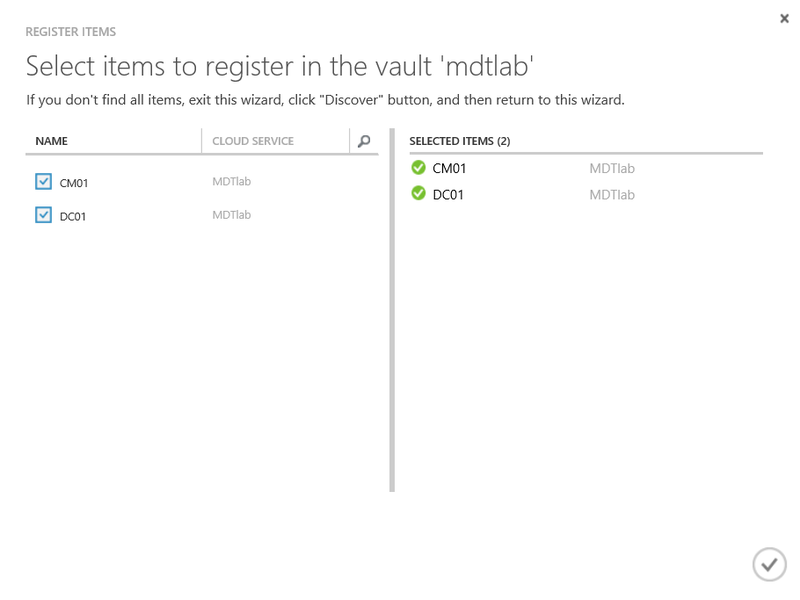 This general availability means the backup mechanism of Azure virtual machines has changed. Before this general availability, Azure VMs were treated the same way as on-premises machine using an Agent that facilitates backup. 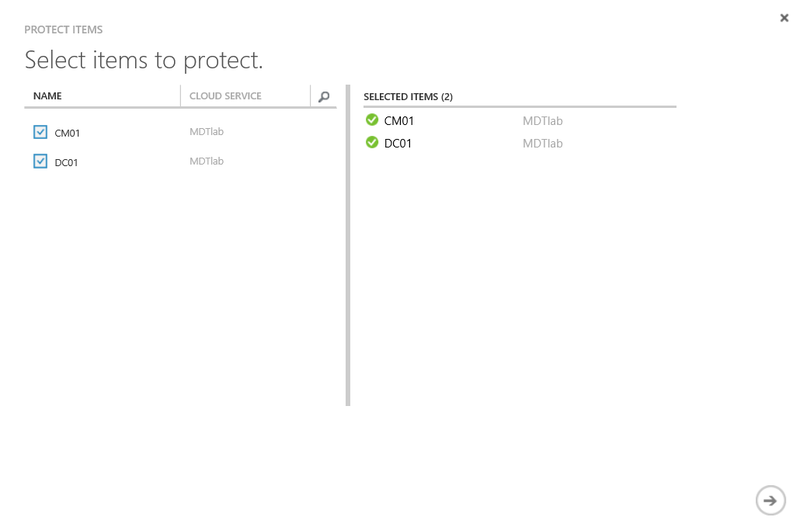 While this method works great, the ‘new’ mechanism makes protection easier for Azure VMs. 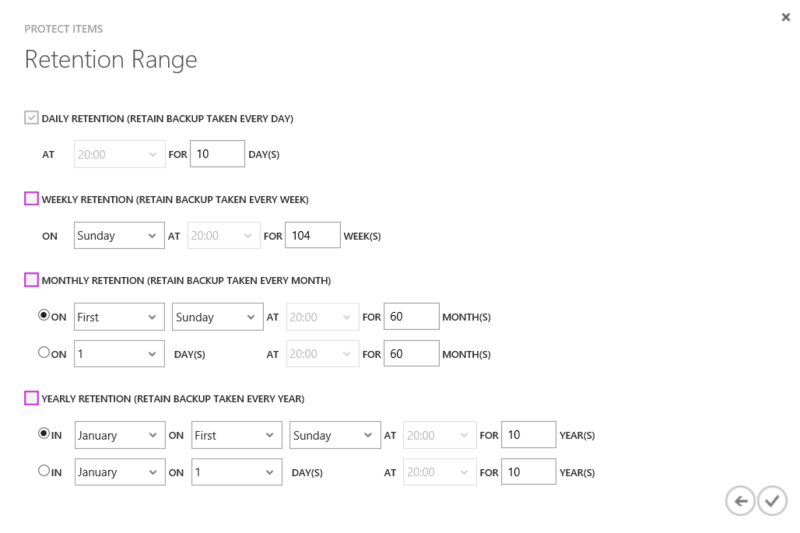 This post describes the steps to configure Backup of Azure VMs. Pretty self-explanatory if you ask me. Select the machines that need to be registered for protection and press the OK button. Press the protect button in the portal to proceed. 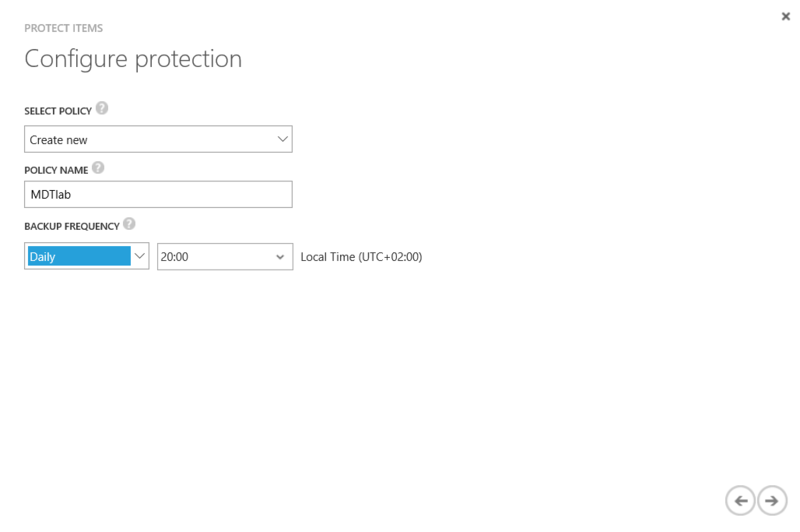 Here a protection policy can be configured. In this case a daily backup is scheduled at 8 pm. Its progress can be monitored by the Jobs tab. This tab can also be used to view how long it takes for a machine to be backed up. Recently, Microsoft released System Center Technical Preview 3 for testing purposes. I found some time to investigate how to install it. The main focus of my investigation was to determine if the workflow for deploying it is different compared to ConfigMgr 2012 SP2/R2 SP1. It also allowed to determine if it would make sense to create a site server on Microsoft Azure. Except for PXE and/or multicast enabled distribution points it would make sense to host the site server there. 1 A5 Azure VM configured as ConfigMgr TP3 site server, two additional virtual disks of 512 GB were added which are added to a single storage pool. a striped virtual disk was created to get some more IOPS. Both Azure VM machines run Windows Server 2012 R2. I use SQL 2014 SP1 Standard Edition for hosting the site database. I could use a gallery machine with SQL, I decided not to and install SQL 2014 SP1 manually. NOTE: I made an attempt to use Windows Server 2016 Technical Preview machines, but the performance was quite annoying. I decided to go back to Windows Server 2012 R2 instead.